The regional Finals on the 6th March were very late this year and also coincided with Mother’s Day, so a big thank to all the Mums who turned out to bring their sons and daughters to the event . 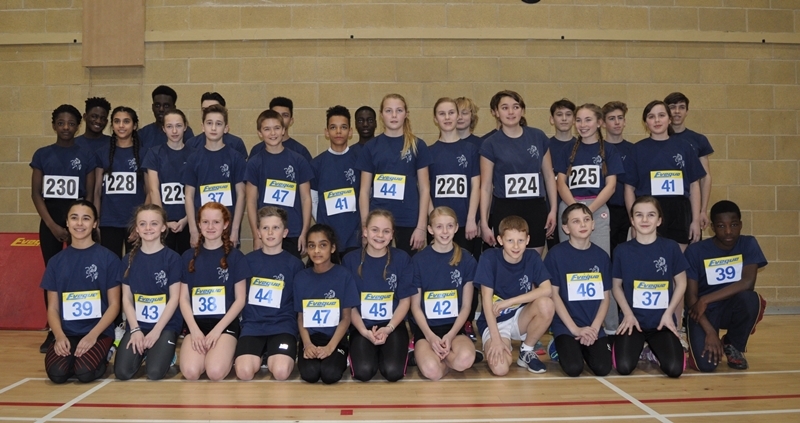 This year our U/13 teams seemed dwarfed by the Berkshire and Hampshire athletes who seemed twice as big as our athletes. The 2 U/13 teams started well with the boys Max Merrien (Bexley AC), Bamise Dahunsi (Dartford Grammar), Alex Bailey (Bexley AC) and Nathaniel Ryan (Folkestone AC) taking the Silver Medals in the Obstacle Race. Although finishing 4th, the 2nd and 3rd teams both incurred penalties and so Kent moved up 2 places. In the Girls race, there was some confusion. They finished 2nd but when the results were read out they were not in the first 3. This was queried with the person entering the results and she said that Kent had incurred penalties, which had dropped them down to 4th place. Thanks to Peter Le Rossignol who was helping run the event, queried this as well and with the help of a parent’s video proved that Kent was indeed in 3rd place with their penalties. The track recorders had put down the wrong blue although there was quite a difference between Royal and Navy. Therefore, Freya Jury (Swale Combined AC), Megan Groombridge (Dartford AC), Sarris Teal (Ashford AC) and Lydia Owen (Ashford AC) claimed Bronze Medals. 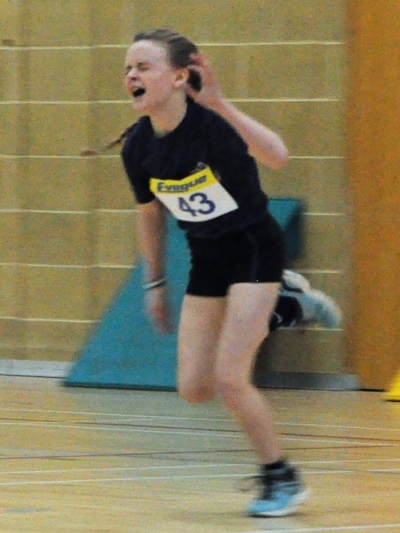 Emily Frimpong (Bexley AC) was the only other Medal winner in the U/13 girls coming 3rd in the Standing Triple Jump 6.64m to win Bronze. Freya Jury was unlucky to miss out on a medal in the Speed Bounce coming 4th with 83 bounces, the winners jumping 84. Imogen Davis came 7th in the Shot with 8.38m. Also in the team were Ella Root (Tonbridge AC), Caitlin Gallagher (Folkestone AC), Jessica Wood (Thanet AC) Kimberley Garcia (Paddock Wood AC) and Abigail Walters (Medway& Maidstone AC). The team finished 6th. Apart from Medals in the Obstacle relay, the U/13 boys added 3 more to their total. Max Merrien who came into the team when another athlete was injured, the week before was = 1st in the Speed bounce with 90 bounces to claim Gold whilst Nathaniel Ryan won the Bronze medal in the same event with 85 bounces. Bamise Dahunsi in the Vertical Jump won the other medal where he jumped 64cm to claim the Gold. Michael Uzozie (Medway & Maidstone)) came close to a medal in the 6-lap time trial coming 2nd in his heat but finishing 5th overall just 0.4 off the 3rd place. Aston Fredericks (Thanet AC) came 6th in his 2-lap race. Aston qualified from his heat (24.4s) to the final but ran (24.9s) in the final. Other members of the team were Steven Abbot (Medway & Maidstone AC), James Coward (Ashford AC), Adam Nicklin (Dartford Grammar) Ned Nesbit (Thanet AC) Gene Sanger (Folkestone AC) and Luke Francis (Borden Grammar). 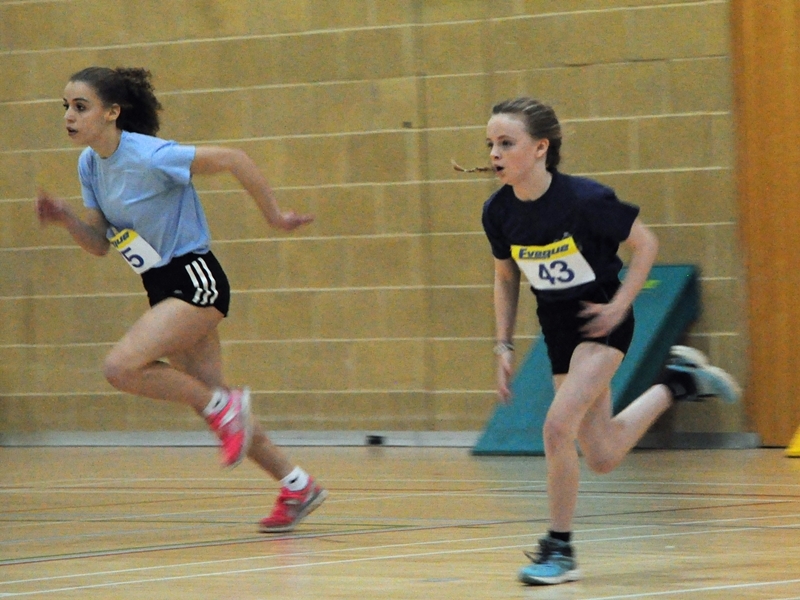 In the U/15 girl’s All-rounder competition, Asha Root (Tonbridge AC) won a Silver medal in her 4-lap race (52.6s). Elena Jury (Swale Combined AC) came =1st with Lauren Macey (Invicta East Kent AC) in the Speed Bounce both jumping 82. Faith Cox (Ashford AC) was 5th in the Vertical Jump with 59cm. the rest of the team were Katie Lacey (Folkestone AC) Nika Naijar (Medway & Maidstone AC) and Amaka Ogbue (Medway & Maidstone). In the overall standing for the All-Rounder competition Asha Root was 18th, Faith Cox 20th ,Elena Jury 22nd, Lauren Macey 24th, Nika Naijar 32nd and Katie Lacey 36th. The team came 5th. The U/15 boys also came 5th despite having 2 athletes in the top 6 overall. The day before the championships Olalekan Omotosho ( Bexley AC) text me to say he couldn’t come, it was because he had no transport, luckily Alex Olubisi’s ( Bexley AC) Dad bought them both, so for the first time in 4 years we had a complete team. Ola came 2nd for the Silver in the Shot 12.0m, 4th in the Standing Long Jump 2.53m and =8th in the 2lap race (23.9s). This meant that Ola shared =3rd place in the All-Rounder competition and earned himself a trophy and Bronze Medal. Harry Pitman (Ashford AC) won the 4-lap race ( 48.7s) , he was 7th in the Standing Triple Jump and 9th in the Speed Bounce, made him 6th in the all-rounders event just 8 points behind Ola. Kent did well in the Standing triple coming 5th with Connor Neal (Thant AC) 7.51m and 6th with Alex Alubisi 7.47m. James O’Gorman (Paddock Wood AC) came 7th in the Shot 10.19m and Reece Williams (Swale Combined AC) came 8th in the Standing Long Jump 2.41m. Ted Peachey (Paddock Wood AC) made the 4x2 relay team, and was ready to compete in the other events if Ola had not been able to make it. Reece Williams stepped in also to make up the relay team as James had hurt his foot. Connor Neal came 18th in the All-rounder; Alex was 22nd, James 24th and Reece Williams 30th. A big thank you to all the parents and coaches who gave up Mother’s Day to get the athletes to the event. Also to the team of officials who turned out for Kent, Mick Duffin, Brian Charlton, Gary Capon and David Ryan. Max Merrian has been invited to the Sportshall National Final at Sports City Manchester on the 16th April to compete in the U/13 boys Speed Bounce, as his was the best score in the UK from all the regional competitions.